Pleasanton’s own R.L. 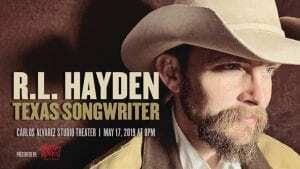 Hayden will release “Texas Songwriter” at his album release concert on Friday, May 17. 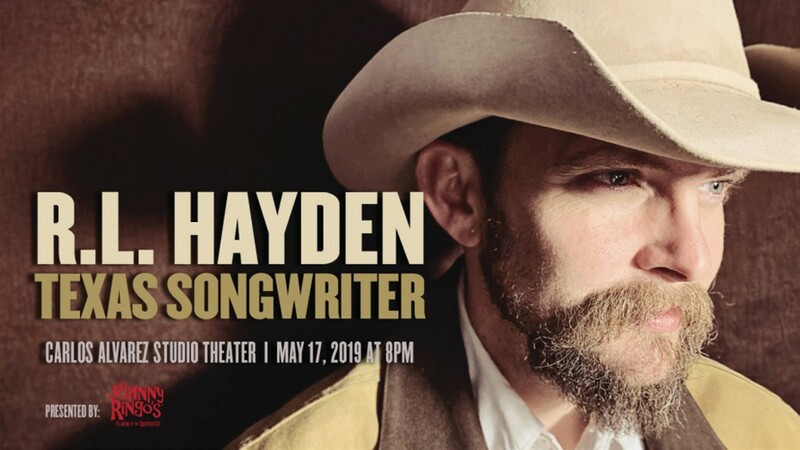 This marks Hayden’s second time as a headliner at the Tobin Center for the Performing Arts in San Antonio. Hayden has been playing recently at Gruene Hall and The Grapevine in Gruene. “Texas Songwriter” is his 11th full-length album. “It’s songs that I wrote with Robert Earl Keen and Aaron Watson. I also wrote one with Kevin Fowler, Bubba Strait and Bill Whitbeck, who is the bass player from Robert Earl Keen’s band,” said Hayden. Hayden added while his last concert was more of a Western theme, this one will feature more songs like these that he has written with different Texas artists. About last year’s To- bin Center show, Hayden describes it as one of his most favorite. Tickets went on sale last Friday. On this album, Hayden wrote “The Child in Me” with Bubba Strait. They wrote the song before either one of them had children. Being able to write songs with him, said Hayden, is always a surreal experience. The song is about leaving your hometown, going out on the road and then coming back fullcircle. Hayden wrote the song “A Night in San Antonio” with Bill Whitbeck. On Hayden’s Facebook page, he is requesting fans to send in photos taken at various San Antonio locations and landmarks. The photos will be used for the song’s video. The event at the Tobin Center is being presented by Johnny Ringo’s Burrito, which also has a local connection, as owner Jon Van Blaricum is a former resident of Pleasanton. Hayden said the music and his family’s business, Hayden Homestead Company, go hand in hand. Next week, the family will head to Colorado to visit Shenna’s parents. Before they do so, he plans to load up on Poteet berries to take to them. Hayden recently performed at the Houston Rodeo. Other scheduled events include the Jack Daniel’s Barbecue Cook-off in October in Tennessee and some shows in Europe for 2020. What does he enjoy about performing? Who is eligible to register?